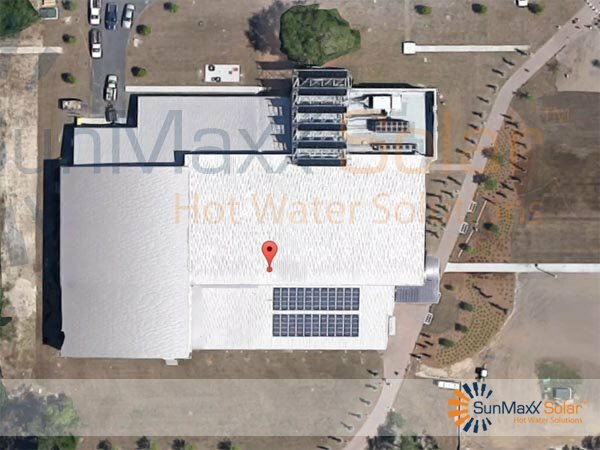 SunMaxx Solar announces the upcoming installation of a solar thermal system at a new multi-story physical fitness center with gymnasium at Marine Corps Air Station Beaufort. The fitness center is expected to be completed in May 2013. Hightower Construction Company of Charleston, SC won the government contract for the 47,800 square foot structure. The solar installation will include 60 TitanPower Plus SU2 roof mounted solar hot water collectors that will supplement the domestic hot water and a rain water harvesting system for grey water use. 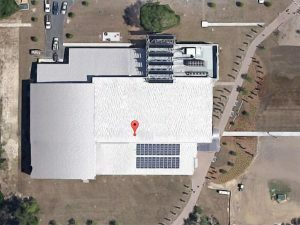 The system is projected to provide an approximate 30% solar fraction for the fitness center. The MCAS Beaufort Fitness Center is located in the heart of the South Carolina Low Country. Marine Corps Air Station Beaufort is home to more than 4,000 Marines and Sailors. The city of Beaufort is known for its military establishments, being located in close proximity to Paris Island and a US Naval Hospital.